You’ve packed your best summer gear, flown across the ditch and landed in sunny Brisbane. Now what? Equipped with a reliable public transport system and a CBD that’s easy to navigate, Brissie is a breeze to explore and you don’t need a car to get in all of your Brisbane sightseeing. The trick is knowing how to get around. So we’ve walked, cycled and ferried our way around town to prove that although a car may be convenient, it’s certainly not a necessity. Before you can even think about tackling your list of Brisbane sightseeing, you need to travel into the city from the airport. And your first taste of Brisbane’s stellar public transport system begins as soon as you touch down at Brisbane Airport. Airtrain services leave from the international terminal every 15 minutes, and it takes just 20 minutes to reach the city centre. It’s a quick and cost-effective option, and compared to east coast counterparts Sydney (super expensive) and Melbourne (doesn’t even have an airport-linked train), Brissie’s airport service takes the cake. Once in town, an array of buses, water ferries and (more) trains await, ready to take you where you need to be. Simply purchase a Translink go card and you’ve got access to public transport across all of South East Queensland – it’s that easy. And if you jump on either the City Loop or Spring Hill Loop bus routes, which frequent Brisbane’s CBD and inner suburbs, your trip is completely free. What’s not to love about that? 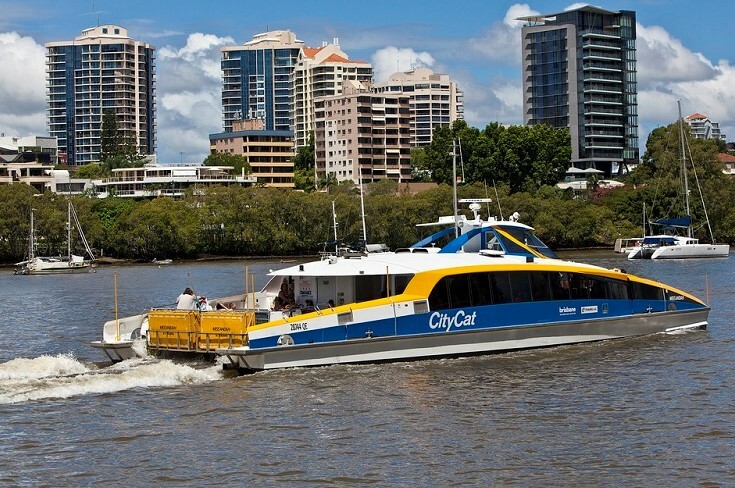 Melbourne may have trams, and Sydney’s got triple decker trains, but Brisbane has an incredible network of ferries, affectionately known as CityCats. With the Brisbane River flowing directly through the heart of the city, a trip aboard a CityCat is not only a unique way to get around, but it’s also comfortable, far more scenic and you don’t have to worry about traffic. Plus, with Brisbane’s notoriously gorgeous weather, there’s really no better way to appreciate the beauty of this riverside city than on the top deck of a CityCat. Tickets can be purchased on board, or you can use your Translink go card, and there are 25 ferry terminals scattered along the river to check out. For those who’d rather pound the pavement, you’ll be happy to hear that Brisbane is a very walkable city. There are bridges, boardwalks and brick roads to traverse, and routes that weave through gardens, past historic buildings and alongside the iconic Brisbane River. While the outskirts of the city vary in elevation, the city centre is relatively flat, so there’s no need to worry about any hills or inclines getting in the way of your Brisbane sightseeing. If we had to pick our must-walk track though, there’s no going past the City Loop via South Bank trail. Not only does it pass many of Brissie’s main attractions, including the Old Victoria Bridge, Cultural Forecourt, Instagram-famous BRISBANE sign and man-made Streets Beach, but there’s also plenty of cafes, bars and restaurants to be found along the way in case you need a quick refuel. Prefer two wheels to two legs? You’ll be pleased to know the city’s bikeways are just as extensive as its walkways, which is good news for those that want to match Brisbane sightseeing with some exercise and fresh air. The CityCycle bike hire scheme offers the perfect opportunity to get pedalling, and aims to encourage both locals and visitors alike to consider cycling when looking at different ways of exploring the city. There are 150 bike stations located throughout Brisbane where you can pick up a bike and courtesy helmet, and maps highlighting various bike routes can be downloaded. Perhaps the best thing about riding a bike is your ability to travel further, and quicker, compared to walking. 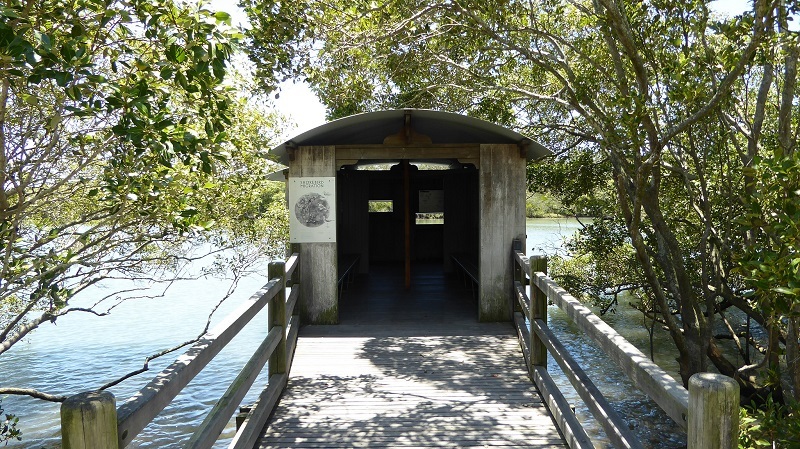 Which means places like the stunning Boondall Wetlands and Toohey Forest, on the outskirts of Brisbane (and just a little bit too far to get to on foot), are suddenly well within reach. If the thought of missing out on a slew of things to do in Brisbane, including its must-see sites and attractions, all because you don’t have a car to pile into at a moment’s notice is really bringing your holiday vibes down, why not consider booking onto a day tour? Highly informative, stress-free and always fun, joining a tour group takes the hassle out of travelling. And with Brisbane sightseeing choices boasting everything from all-day bus sojourns to two-hour guided walking excursions, your options are endless. For foodies, we recommend tagging along on a walking tour of Brisbane’s best laneway cafes, or indulging in a chocolate or craft beer adventure. Many of Brisbane’s galleries and museums offer tours of the latest exhibitions or collections – there’s even coaches that chauffeur around keen shoppers on the hunt for a bargain. Sounds pretty good to us! You definitely don’t need a car to visit Brisbane. If you did want a set of wheels however, you can lock in a hire car with Webjet. Take care of your rental vehicle at the same time as booking cheap flights to Brisbane.